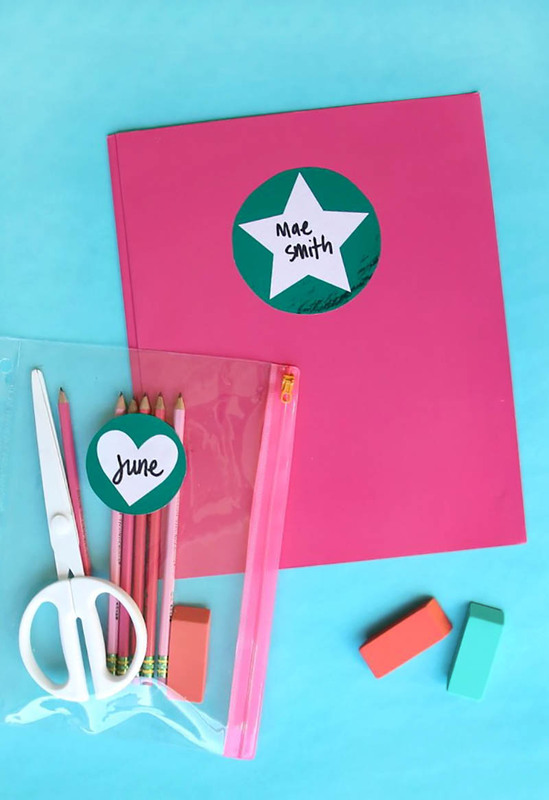 Learn how to add some shiny foil to your back to school name labels! Keep all your stuff labeled and sorted in style easily with this simple tutorial. 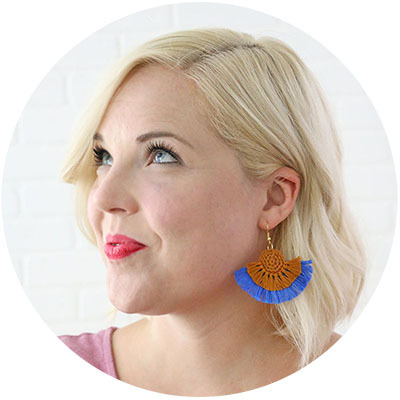 Thank you to American Crafts for sponsoring this post, which also contains affiliate links that help to support this site at no extra cost to you. It’s foil time, friends! 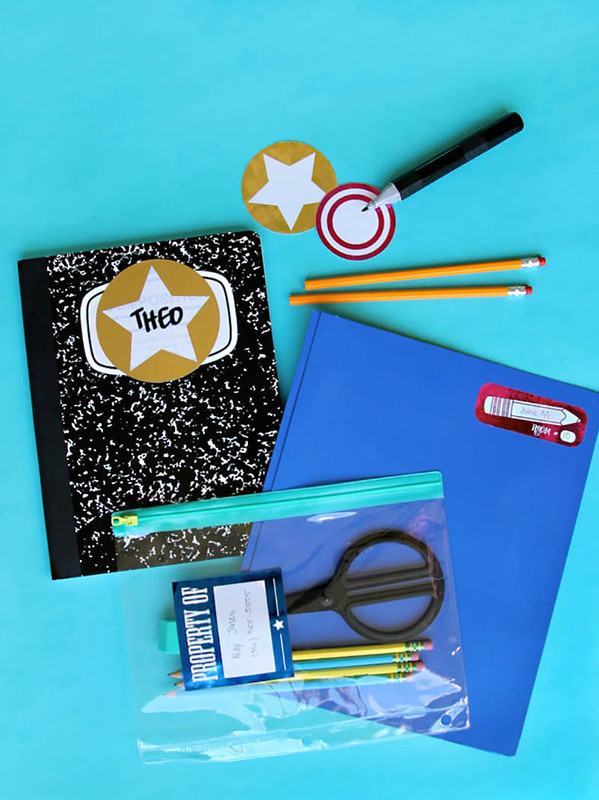 What’s back to school without some shiny new supplies? And I mean SHINY! We are going to label up all of our school supplies, and we are going to label them up with the prettiest foiled up labels around. No one is going to be taking your pencil pouch! 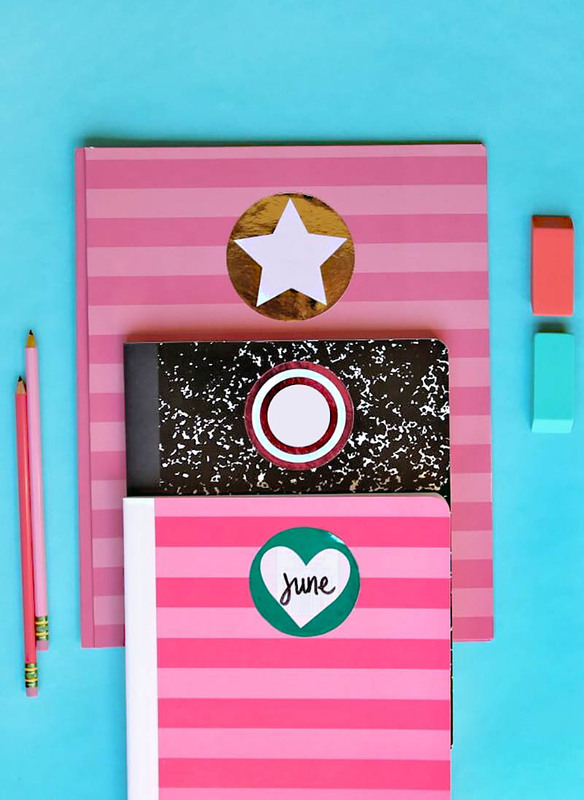 If you’ve been around here before, you know that I love my Minc because it is such an easy way to add awesome foil to any paper crafting project. So, of course, it had to get in on the back to school craft party. 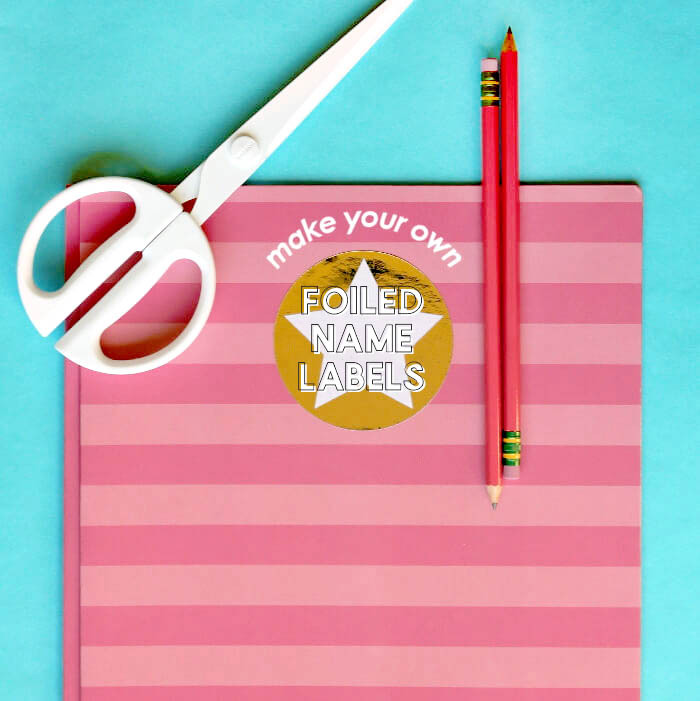 Making your own foiled labels is super easy, so let’s do it! Start off by printing the name labels download on label paper with a laser printer. (The reactive foil will only bind to toner, so a laser printer is required. Making a copy on a copier that uses a toner would also work perfectly!) Then just cover the labels with foil (color side up! ), place inside the folder, and run it through the Minc or laminator. When the foil is applied to the labels, cut them out using an electronic cutter or just a good ol’ pair of scissors. All that’s left to do is peel your stickers and label your stuff! Let’s label all the things! 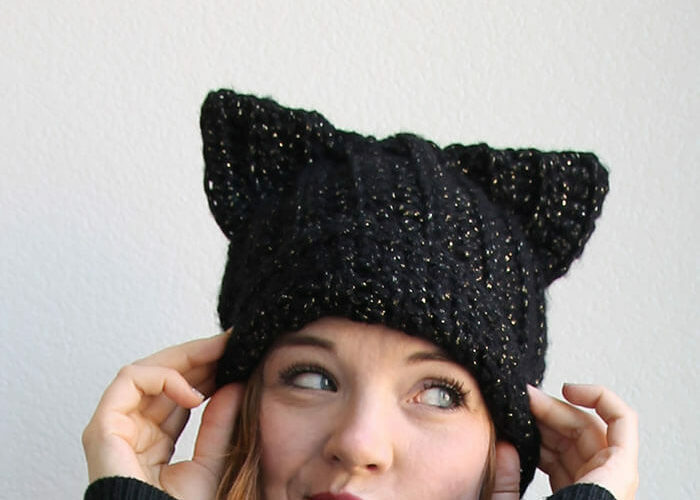 Alexis, I love these–I’m kind of like a magpie when it comes to shiny things, I can’t get enough! Thanks, Amy! And me too! I don t ruin my laminator at work- you would layer the paper with the foil and put it through? I have not used the foil with a laminator before, but I believe it should work. Good luck! 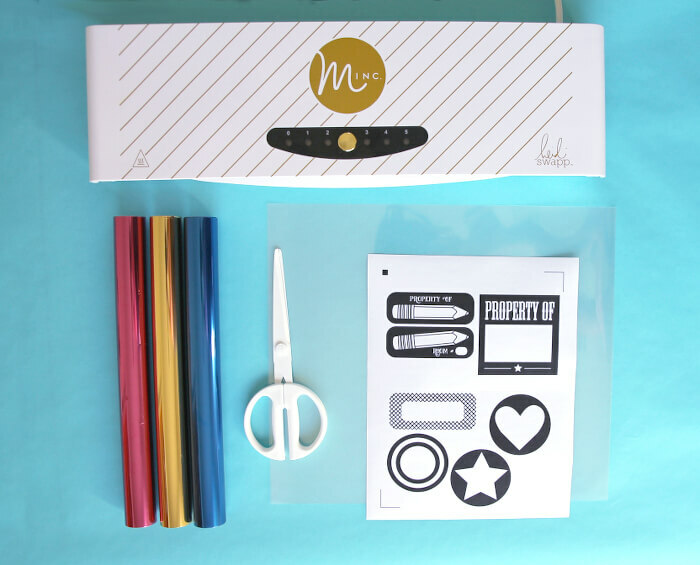 In your experience, has using the Minc foiling system on labels had any adverse effects on the label’s adhesive? 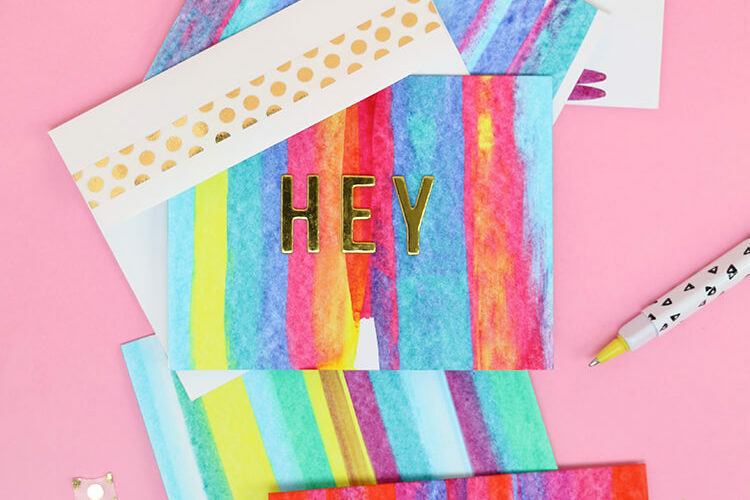 I’d hate to make pretty foil address labels and then them not stick! Thanks. I did not have any trouble with the adhesive, but I can’t guarantee it might not happen for you. Maybe do a trial run? Good luck!